The Broadcast and Media industry rely on our cables to deliver instant results. ‘Scientists study the world as it is; engineers create the world that has never been’ Theodore von Kármán 1881- 1963. We supply Rugged, Secure MIL spec cables for rapid response deployment in the harshest environments the world has to offer. Always at the leading edge of technology, the Oil and Gas industry is a specialist industry that demands special solutions. Paragon networks is a specialist manufacturer and supplier of portable tactical fibre optic reels, pre terminated fibre optic cable assemblies and a range of armoured and non armoured fibre optic and copper cabling solutions. 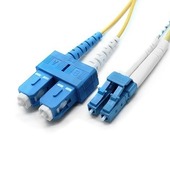 Our cable solutions are used worldwide within Data Communications, Audio Visual and Industrial environments. We treat our customers with respect, the way we wish to be treated. We value our reputation and therefore we only supply quality assemblies manufactured to ISO9001 standard. Our re deployable Tactical Cables are extremely strong, lightweight and suitable for all applications where mobility and rapid deployment of cable is essential.